Each session will be two weeks in duration. They will begin Thursday mornings, and end Monday evenings. Days off will be Tuesdays and Wednesdays. 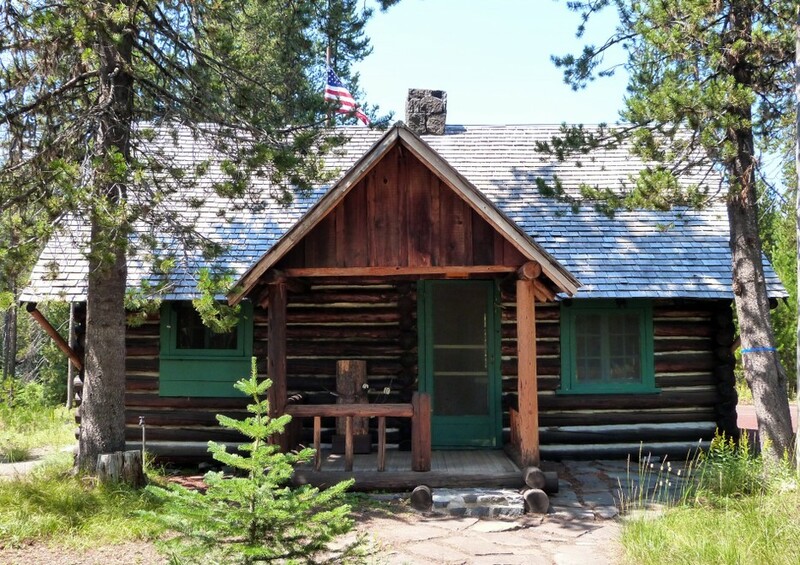 Historic Elk Lake Guard Station lies along the beautiful and popular Cascade Lakes National Scenic Byway. It was originally built in 1929, and was afterward in regular use for almost seven decades. In the late 1990s, after the log cabin was “de-commissioned” as a full-time Forest Service guard station, it was in dire need of maintenance and repair. From 1998-2001, the Forest Service and Passport In Time volunteers worked to restore the landmark. In 2001, the guard station, eventually listed on the National Register of Historic Places (NRHP), re-opened its doors as a Forest Service visitor’s center and interpreted historic site. Since that time, PIT volunteers have been recruited and trained to staff Elk Lake Guard Station, and serve as professional-caliber information/interpretation specialists for the site’s thousands of annual visitors. Continuing that tradition, we need your help as uniformed Forest Service representatives again this year. Volunteers will keep the station clean and tidy, and will provide a full range of information and interpretive services to visitors.